Internet Download Manager remains one of the top apps of its kind right now, so the parent company behind the project really struggles to provide updates on a regular basis. A brand new version was released a few hours ago and brings an improved IDM download engine, as well as support for Firefox 29 and SeaMonkey 2.24, two recently-launched applications that are still in preview builds right now. At the same time, Internet Download Manager 6.19 packs fixes for video recognition problems in Google Chrome, as well as workarounds for some problems spotted when taking over https downloads in Google Chrome. 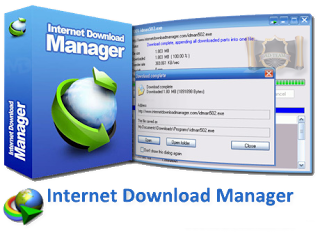 Support continues to be offered for basically all Windows editions currently on the market, so go ahead and download Internet Download Manager 6.19 right now to see what’s new. The trial version allows you to try out the application for a maximum of 30 days.